Patti O’Brien was raised and studied painting in the Twin Cities. At a very early age, wandering through and working in her father’s florist shop she was introduced to the unique beauty of plants and flowers. She went on to receive a certificate in Floristry and found herself inspired to paint the exquisite blooms and foliage she encountered every day. Graduating with a degree in Nursing and Business Administration over the years, she managed to steal moments to paint in a variety of mediums. 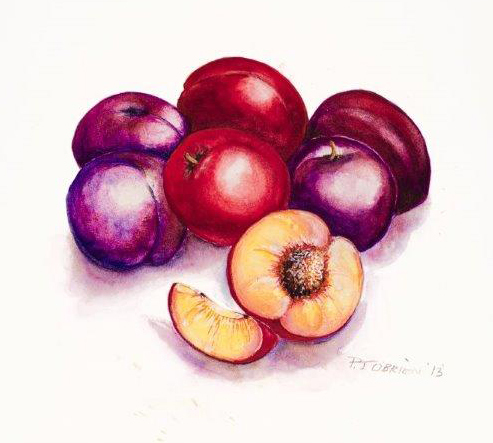 Eventually, she discovered a penchant for botanical watercolors. 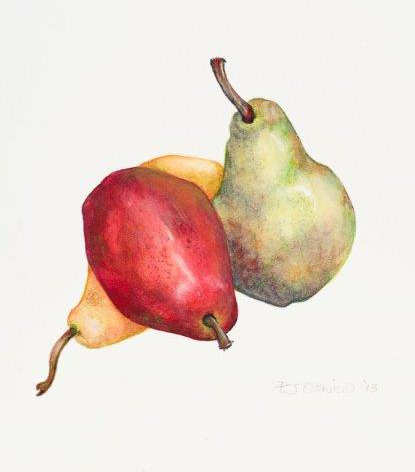 She has studied at a number of schools, including the University of Minnesota, the Minneapolis College of Art and Design, Como Park Conservatory and for the past several years, the Minnesota School of Botanical Art. Patti has exhibited at Como Conservatory and at the Grand Old Days Art Show, 2013. 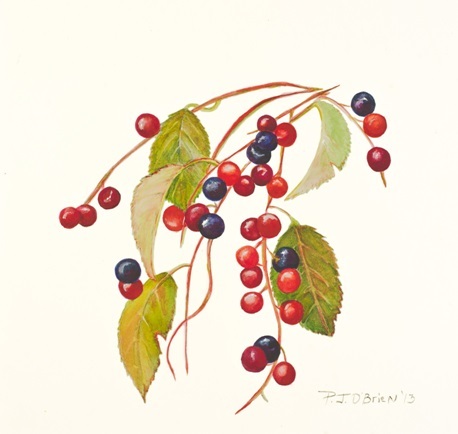 She is a member of the Great River Chapter of the American Society of Botanical Artists.